Welcome back! This is Part 2 of our series on sleep. In Part 1 we explored the nature of sleep, why it's important, and how much we need. Check it out here. Unfortunately, the stats suggest the situation is even more dire. The Centers for Disease Control and Prevention has found that a third of adults in the United States sleep less than six hours per night, and more than two-thirds report their sleep is insufficient. Eleven percent reported that they never got enough rest in the proceeding twelve months. These findings are consistent across surveys by other groups, both governmental and independent. This is massive, chronic sleep deprivation*, and it's almost certainly affecting our health and well-being. Let's explore the many ways that sleep disruption can negatively impact your life, from obvious, to surprising, to terrifying. In contrast to the average sleep deprived American, professional athletes sleep substantially more than recommended, usually nine to ten hours, with outliers like Lebron James and Roger Federer getting upwards of twelve hours nightly. This is no surprise considering the importance of sleep to athletic performance. Athletes who sleep less than eight hours each night are almost twice as likely to be injured than those that sleep more than eight hours. Sleep deprivation also lowers peak strength, lowers reaction time, and lowers endurance. There is even evidence that lack of sleep increases the perception of pain. Lack of sufficient sleep impedes recovery by lowering anabolic hormones and preventing responsive adaptations to athletic training--that is, training is supposed to make you better, faster, stronger, but your effort is wasted if you don't get enough sleep. You don't have to be an athlete to have your physical performance affected. Sleep deprivation has been shown to impair driving performance to the same degree as being legally drunk, and hospital interns that work a 24-hour shift are twice as likely to get in a car accident. In fact, fatigue has been linked to many industrial catastrophes. 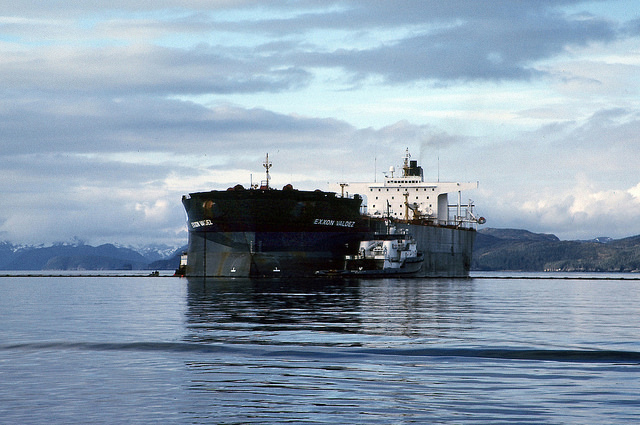 Remember the Exxon Valdez oil spill? Attributed to fatigue. Workers that don't get enough sleep are dangerous to themselves and others, although surprisingly OSHA doesn't have a specific sleep regulation (a ridiculous and practically negligent omission). As a result, "fatigue management systems" are becoming popular at dangerous work sites. We already established in Part 1 how important sleep is to forming memories and new insights, but it's also crucial to other aspects of brain function, such as creativity and problem solving. Sleep deprivation cuts in half the ability to find hidden shortcuts in assigned tasks, and naps double the probability of solving tough problems in video game tests. And students that slept seven hours a night (barely above national average) scored eight percent higher on their exams than those who only slept six hours (slightly below national average). Judgement is also significantly hampered in the sleep deprived. False confessions appear to be substantially more likely in a sleep deprived state, which is a serious consideration when it's estimated that a significant portion (perhaps up to a quarter) of wrongful convictions in the USA arise from false confessions. In experiments, participants were almost five-times more likely to sign a false statement if they had been awake for 24-hours than if well-rested. Lack of sleep also messes with your emotional state. Most of us realize we are grumpy if we're sleep deprived, and unsurprisingly this is born out in actual experiments. The military has discovered that "altercations with civilians" (nice euphemism, Uncle Sam) increase by five-fold when the amount of sleep goes from eight hours to four hours. Our emotional health is directly related to how much sleep we get. Teens who slept for six or less hours per night were at an increased risk for depression compared to those who slept more. Additionally, lack of sleep affects your interpersonal relationships: people who have not had enough sleep are less likely to fully trust someone else, and leaders who are sleep deprived fail to successfully motivate their employees. Brain health is also critically dependent on sleep. Just one night of sleep deprivation raises markers of brain damage. In Part 1 we mentioned that sleep promotes removal of damaged proteins, essentially taking out the trash from damaged cells. Channels in the brain open up while we sleep, allowing cerebrospinal fluid to flush out neurotoxic waste. One particular neurotoxin that builds in the brain during sleep deprivation: beta-amyloid. If that sounds familiar, it's because beta-amyloid is related to Alzheimer's, forming the disease's characteristic brain tissue plaques. Sleep deprivation causes a striking increase in beta-amyloid, and worse, the increase in beta-amyloid affects the quality of sleep you get in future nights, creating a vicious cycle. Many scientists hypothesize that beta-amyloid plaques are the cause of Alzheimer's, and beta-amyloid accumulation should be avoided. Interestingly, it's not just sleep deprivation that's related to neurodegeneration. Animal experiments suggest that even with sufficient sleep, if circadian rhythms are disrupted, brain damage can occur. The animal experiments involved disrupting genes associated with the circadian clock, but a human corollary might be shift-work, or not obeying your body's natural rhythm (e.g., teenagers getting up early for school). Sleeping when your body wants you to sleep (whether you are a night-owl or a lark) could be important to brain health. The body's immune system is critical for fighting off foreign invaders (viruses, bacteria, and other microorganisms) and managing the healing process from injury. Inflammation is the activation of the immune system, and therefore beneficial when functioning properly. As you can no doubt see where this is going, sleep deprivation compromises your immune function. Sleep deprivation increases inflammation. And while you might think that could be good (more inflammation to fight off germs, right? ), it's the opposite: consistently sleep deprived people are four-times more likely to catch a cold. The chronic inflammation caused by sleep deprivation is systemic and non-specific. Your immune system should not be constantly activated, but only ramp up in response to an acute assault (infection or injury). The chronic inflammation from sleep deprivation overwhelms the acute response (making you more likely to get an infection), and causes body-wide increased blood pressure, insulin resistance, and oxidative damage, which are related directly to cardiovascular disease, diabetes, and cancer, respectively. Diabetes is poor control of the levels of sugar in your blood. High blood sugar damages all of the organs, leading to major complications, notably nerve damage, blindness, kidney failure, heart failure, skin ulcers, loss of limbs to amputation, and perhaps Alzheimer's. It's bad, and there is a literal epidemic of diabetes in America. Over 9% of Americans have diabetes, and it's estimated that more than 25% have pre-diabetes, a number that is increasing rapidly. Glucose tolerance is how much your blood sugar changes in response to eating. High glucose tolerance is good - this means you can eat more sugar without it affecting how much is in your blood. Low glucose tolerance is a key factor in diabetes. Even one night of poor sleep impairs your glucose tolerance, essentially making you wake up pre-diabetic. Longer term sleep restriction studies show that insulin response is also affected, leading to insulin resistance, another hallmark of diabetes. Diabetes and obesity go hand-in-hand, and like diabetes, there is an epidemic of obesity in America. More than a third of adults are obese, and more than two-thirds are considered overweight. This is a radical change from 30 years ago, as shown in this startling GIF from the Centers for Disease Control. After one night of bad sleep, the average person eats more the next day, to the tune of several hundred extra calories. The makeup of the foods consumed also changes after sleep deprivation, with increased fat and decreased protein (i.e., you crave junk food when you're tired). Longitudinal studies show that those who routinely sleep less than six hours per night gained more abdominal fat than those who sleep the recommended amount. The National Science Foundation observed that those who report regularly averaging less than six hours a night were more than 50% more likely to be obese. You eat more--and more junk--when you're sleep deprived because your hunger hormones get out of whack. Ghrelin signals hunger to the brain, and leptin signals satiety to the brain. Sleep deprivation increases ghrelin and decreases leptin, so you get more hungry but don't fill up as quick. This increases the subjective feeling of hunger and appetite compared to being well rested by 25-50%. There is also data that your resting metabolic rate (RMR; how much energy you burn doing nothing) decreases following sleep deprivation, meaning that those extra calories you eat have an even bigger impact than when fully rested. Cardiovascular disease is the leading cause of death in America, and short sleep is associated with increased cardiovascular risk. Notably, those sleeping less than six hours a night were two-thirds more likely to have high blood pressure than normal sleepers, and to have increased LDL-C ("bad" cholesterol) and lowered HDL-C ("good" cholesterol). Perhaps the most shocking piece of data is the effect of the changes in daylight savings time. Epidemiological studies show a 20-25% increase in heart attacks on the first workday after switching the clocks! This link holds whether falling-back or springing-forward, showing that sleep disturbances increase stress and cardiovascular risk. If you didn't already hate DST, you can now literally say that DST is killing people. As pointed out above, sleep increases inflammation and oxidative damage, which is linked independently to cancer. Long-term studies show night shift nurses are more likely to develop breast cancer and colon cancer, and the The International Agency for Research on Cancer (IARC) recently concluded that “shift-work that involves circadian disruption is probably carcinogenic to humans,” ranking it as carcinogenic as the now-banned pesticide DDT. Perhaps you were able to shake off this litany of sleep-linked health problems, thinking that you are not sleep deprived. You can't tell when you're sleep deprived. Participants in sleep studies are not able to adequately assess the level of their impairment. They may "feel fine" but cognitive tests show massive shortfalls compared to rested states. And unless you have a blood monitoring device telling you that your hormones, lipids, and inflammatory modulators are haywire, you can't assess that either. If you have a single night of bad sleep, you're apt to feel lousy the next day, and notice the effects. However, if you under-sleep just a small amount on a regular basis, you will "get used to it" and think you feel fine and "need less sleep," when in fact you're setting yourself on a path towards one or more of the maladies listed above. Unfortunately, sleep is not like a bank. You can't accumulate debt during the week, and then pay it back on the weekend. Damage occurs during the deprivation, and getting a little extra sleep doesn't fully repair it. All of the top causes of death in the USA can be linked to sleep problems: cardiovascular disease, cancer, accidents, infections, neurodegeneration, metabolic disease, and suicide. While sleep problems may not directly cause all of those deaths, it's plausible that longer and better quality sleep could reduce them. Coming up next in Part 3: how to fix your sleep! Hopefully you're convinced that plenty of good sleep is critical to health, and that poor sleep can cascade in deeply worrisome ways. While the specifics discussed here may be news to you, surely you knew that sleep deprivation is bad. Still, the majority of us don't get enough. Why? Do those that don't get enough rest really want to go through life like a zombie? Is it that we don't know how to fix our sleep? What should you do to get better sleep? What if you have insomnia? Where do sleep aids fit? * Note: herein I use interchangeably the phrases "sleep deprivation," "sleep disruption," "poor sleep," etc., to broadly mean sleep that does not achieve sufficient rest. Unless stated explicitly, "sleep deprived" does not mean "no sleep."